The Cleveland Browns have shown mixed results in their first three preseason games. After going 0-3, the team just hopes to win this game tonight to gain some momentum before the regular season begins on September 11th against the Philadelphia Eagles. 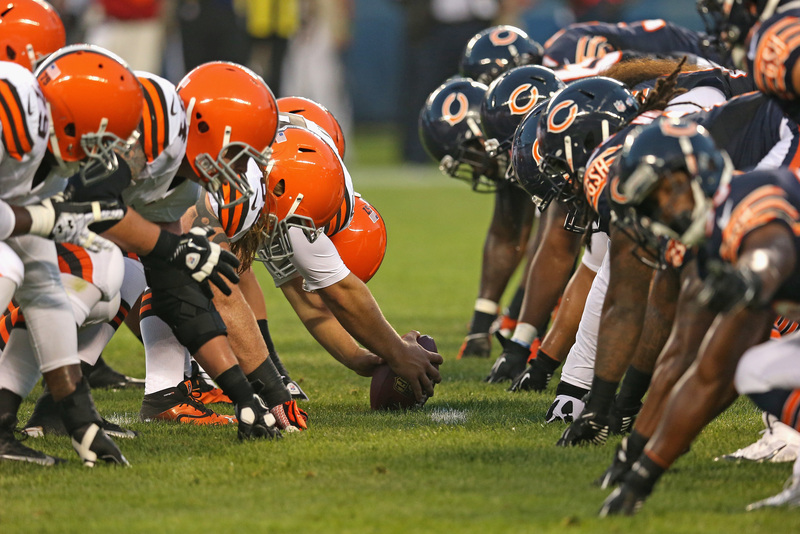 The Chicago Bears will face the Browns at FirstEnergy Stadium at 8:00 p.m. this Thursday and hope to win the football game! Interested when the football game starts? What players to watch and more? NOTHING. BRING ON THE REGULAR SEASON! 1. How the starters perform against the Bears and their backups: The Chicago Bears will have the majority of their backups playing in this final preseason game. The Cleveland Browns and head coach Hue Jackson already told the media that they will play their starters tonight. Jackson stated, “We are going to play our guys. I feel comfortable that we need to play our starters on both sides of the ball. Now, how much they play, that is yet to be determined by me, but I think we are going to play them because we need to play. We need to get better as a football team as we continue to move forward.” This move will most likely give the starters confidence before their first regular season game against the Eagles. If they do poorly against the Bears backups, then it will be a long season. 2. Punting Competition: This will be something to look forward to as the punter is a very important job if your offense cannot move down the football field and score points. The Browns are normally one of those teams. This year might be different but it’s always good to have a somewhat solid punter. The Browns traded their starting punter Andy Lee to the Panthers the other day. In return they received Kasey Redfern. Right after Redfern signed with the Browns, the team brought in another punter (Michael Palardy) to open up a punting competition. This will be a fun and interesting thing to watch as both punters really don’t have much starting experience. 3. Corey Coleman and his production: Last week first-round draft pick Corey Coleman played in his first NFL game. Many fans might have not known that he was active since he didn’t even catch the football once. This should be the game to watch as Coleman just wants to get his feet wet and catch a few passes. This game is perfect for the young receiver to grow his confidence. The Bears will have their second-string cornerbacks out on the field the majority of the time; therefore, Coleman should easily light them up. Corey Coleman, Robert Griffin III, Terrelle Pryor, and this potential “monster” offense should put many points on the board. This game is what will give the Browns players confidence and excitement as the regular season approaches. The defense needs to do better, and should, against a weak Chicago Bears offense. Fans should be thrilled that this is the final preseason game of 2016, and the team is ready to dominant the AFC North this season.